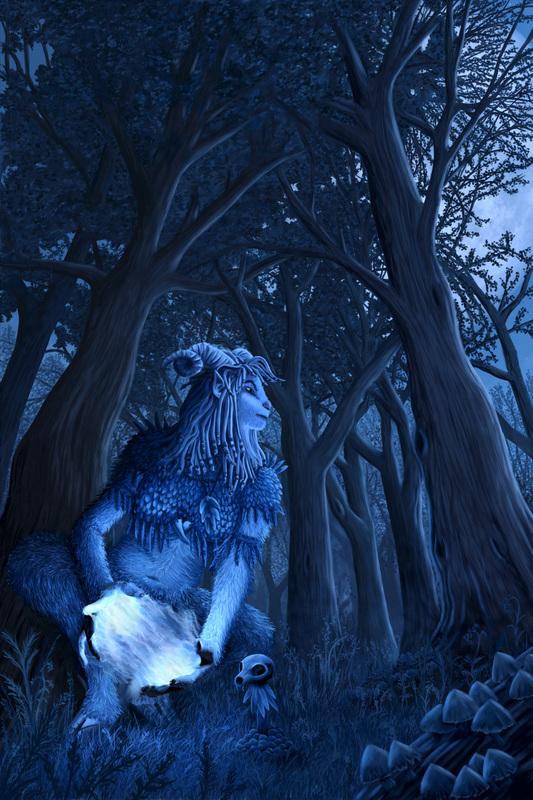 Under a full moon deep in the forest, a shamanic ritual begins. This is my take on the faun of myth and legend. This image is 100% hand painted in Corel Painter using a Wacom Intuos tablet using acrylic brushes and a stump blender. The orginal image is 3800 x 5700 pixels and so is suitable for high resolution printing. Prints of this image are availale at sizes up to A2, printed professionally on archival quality paper for maximum quality and longevity.